D. Stephen Voss is the 2017 recipient of the William E. Lyons Award, co-sponsored by the University of Kentucky’s Martin School of Public Policy and Administration and the Department of Political Science, part of the College of Arts and Sciences. The annual honor is given to one person in recognition of a long record of outstanding service to UK, the community and the Commonwealth of Kentucky. The award is named for the late "Bill" Lyons, a professor of political science and public administration, who during his much-admired tenure at UK served as director of the Martin School and chaired the political science department. Voss is an is associate professor of political science at the University of Kentucky, where he has held an appointment since 1998 and served for years as associate chair. He has been teaching introductory American government for more than two decades. Prior to entering academia, Voss worked as a journalist in Louisiana, where he covered statehouse politics as well as national, state and local elections. 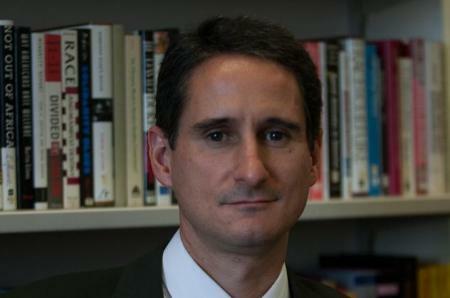 Voss, who earned his doctoral degree at Harvard University, is a former president of the Kentucky Political Science Association (KPSA) and one of the founding co-editors of KPSA’s Commonwealth Review of Political Science. He co-authored the chapter on Rand Paul in William J, Miller and Jeremy D. Walling's edited volume "Tea Party Effects on 2010 Senate Elections," and co-authored articles on Kentucky voting behavior with longtime specialist and former UK faculty member Penny Miller. Commentary on Kentucky elections by Voss frequently appears in local, national and international news outlets. Previously, Voss has been honored with the UK Alumni Association’s prestigious Great Teacher Award, as well as an Outstanding Teacher award from UK’s College of Arts and Sciences, and the Southern Political Science Association’s Pi Sigma Alpha Award for Excellence in Scholarly Writing. Voss continues to conduct quantitative research that orbits broadly around the politics of race, ethnicity, immigration and culture. Beyond the political campaigns, Voss also is frequently asked by national, state and local media outlets to comment on political controversies and developments. Voss will receive his award during a ceremony at 3:30 p.m. Wednesday, April 26, in the William T. Young Library’s UK Alumni Association Gallery. A reception will follow. All are cordially invited to attend. Lyons, the award's namesake, died in 1994. He is credited with crafting the charter which created a merged government for Lexington and Fayette County in the early 1970s.